We’re very excited to announce Tanya Noor, Head of Makeup at Phantom Of The Opera in London, will be joining our panel of judges for Brush Wars 2018! Tanya trained at the prestigious London College of Fashion in the early 1990’s and has been an established Makeup Artist for over 25 years working in the fashion, theatre and film industry. 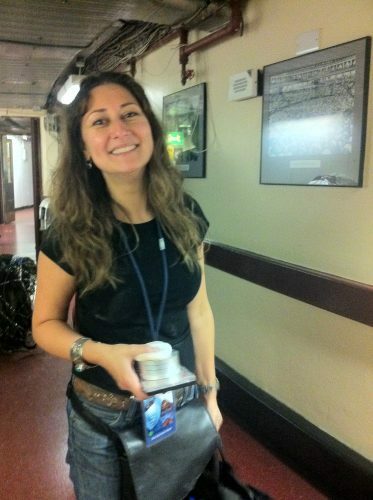 Currently Tanya is Head of Makeup at Phantom of the Opera at Her Majesties Theatre in the West End of London. Tanya is a qualified academic professional makeup artist who teaches to a Degree level. In conjunction with her busy career Tanya has also developed a range of set bags called Get Set Go Bags with her longtime friend Cheryl Hill. They have designed their wide range of set bags for the Makeup Industry which are available online and at Stockists in London, Europe and the USA.